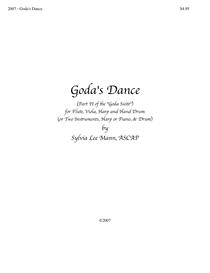 Buy and Download > Description "Goda's Bosom" is the first movement of the "Goda Suite", written for flute, viola, harp and hand drum bodhran. This is new Celtic music, full of ancient resonance. 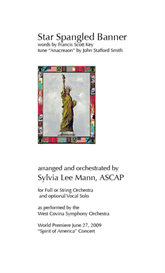 The piece may be performed by any two treble instruments, harp or piano, and hand drum. The drum part may be considered optional, but it is recommended to include it in performance if at all possible. 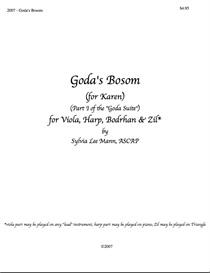 “Goda’s Bosom” was written for Karen, 12-29-1966 to 9-30-2007. 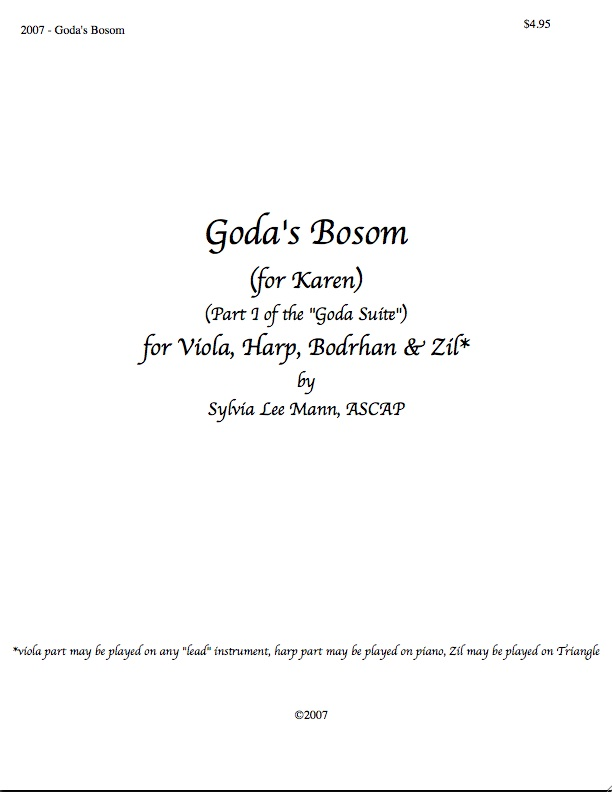 “May Goda hold you to her bosom as we hold you in our hearts.” This music was created the day Karen passed.